The Terra (formally known as EOS-AM-1) satellite is the flagship of EOS. It will provide global data on the state of the atmosphere, land, and oceans, as well as their interactions with solar radiation and with one another. Visit this site to explore and learn about the scientific objectives of this flagship mission. The Terra Project is responsible for the design, fabrication, test, launch, and on-orbit checkout of the instruments and spacecraft for the first EOS mission. 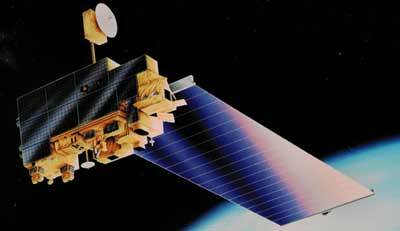 Terra was successfully launched on 18 December 1999. The Terra mission is part of NASA's Earth Sciences Enterprise (ESE). Originally it was planned to build three satellites to be launched in five year intervals, but only the first one was implemented.